Not having a sweet tooth means two things: your sodium intake is really high and you are missing out on colourful-edible goodness. The Stoned Merengue at Lux Bite is a perfect example. 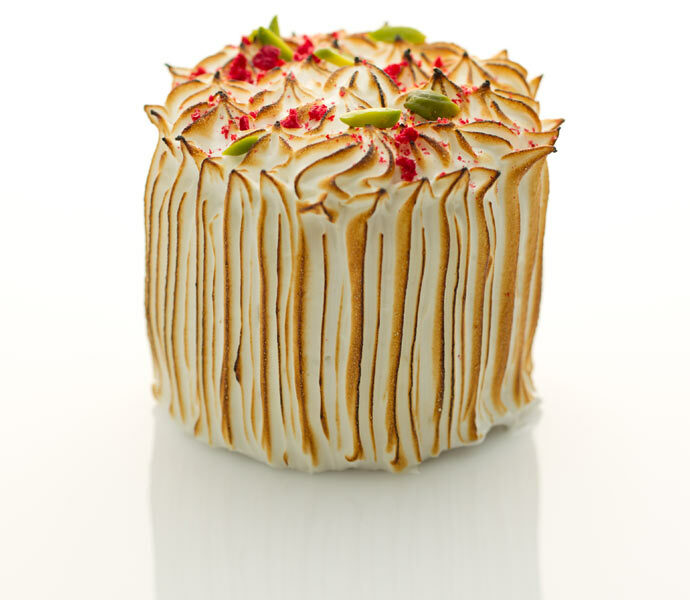 Soft sponge-like merengue covers a tri-level cylinder of rasberry yogurt, creamy apricot and pistachio sponge. Think soft, zesty, creamy, sweet and crunchy. Match it with your favorite coffee and it won’t leave your head for a couple of days. Balance your sodium intake: sugar can be amazing!